I have been feeling a shift lately. From Metaphysics to Astrophysics. I want to read non-fiction something that I never do, well except for theories. Speaking of the shift, I don't feel like wearing makeup anymore. I received all my December makeup purchases from Cultbeauty in the first week of January. And ever since then, I am working on finishing up all the half-filled skincare containers. I want to keep what really works and I am switching back to being a minimalist. I experimented with layering skincare in the second half of 2017 and I am concluding that it does not work for me. So I already switched back to my simple skincare routine this time with acids. I should be working on a current skincare routine post soon. Skincare: When I am focussing on the academics, I ignore everything else, I can't sleep nor eat. And this starts affecting the under eyes and hydration. I am hopefully going to adhere to a minimal skincare routine to keep dehydration and dryness at bay. Exfoliating with acids because scrubs break me out, sensitivity! Long hair and bangs: I look at my pictures from college days and 2015; I want to ignore the consequences and get bangs. But I am growing my hair long and I don't know. Red lipstick: I can wear soft wing eyeliner and red lipstick all my life without being bored is an overstatement. But Red lipstick washes me out, *no amount of bronzer ever will paint the paleness* kind of paleness. And then my face, neck and chest turn out in three different colours. Well, I'll just admit I look like a clown.whatever. Painting my nails: I always paint my nails either Red or Mint and if I am in a mood for something bright, I'd choose Neon Pink. Changing nail colours every 5 days is what I have on my mind atm. More colours! I mean. I've never been a great blog post planner. I will let 2018 amaze me! Good idea to make a beauty resolution. How we feel and treat ourselves definitely shows through our skincare. Thank you for the inspo! 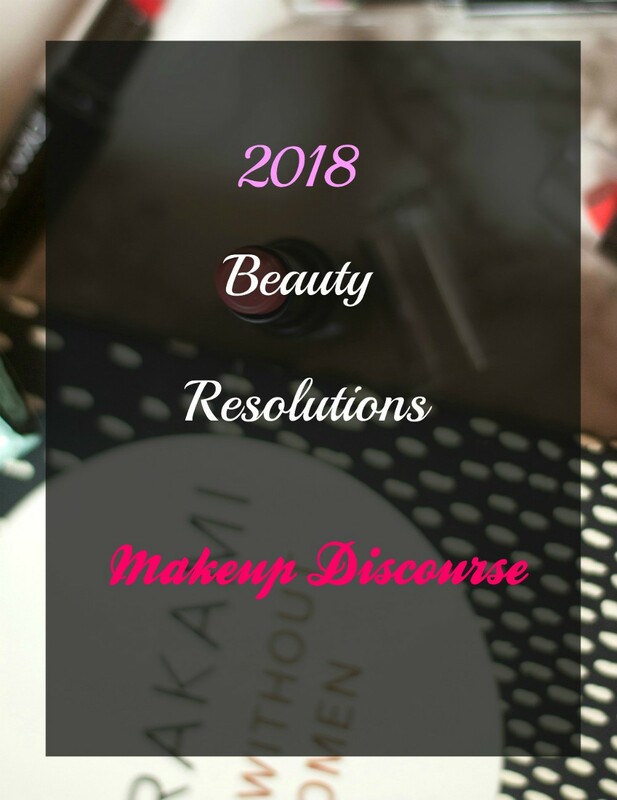 I like beauty resolutions because they go along with self-care and self-love. I really link mint nail polish too!